African National Congress President Nelson Mandela addresses the Committee Against Apartheid in the United Nations General Assembly Hall, Sept. 24, 1993. 2018 is the Year of Mandela — the year the independence leader of South Africa would have turned 100 years old. But although Nelson Mandela died in 2013 at the age of 95, his entire life still stands as a testament to the power of the human spirit. Confronted by the challenges of apartheid, physical imprisonment, and doubt, Mandela nonetheless wielded his inimitable spirit to improve the lives of millions of his fellow countrymen and women, as an activist, scholar, leader, and, ultimately, one of the world’s greatest-ever humanitarians. This year, Global Citizen is joining other organizations, leaders, and citizens of the world to honor Mandela’s legacy. 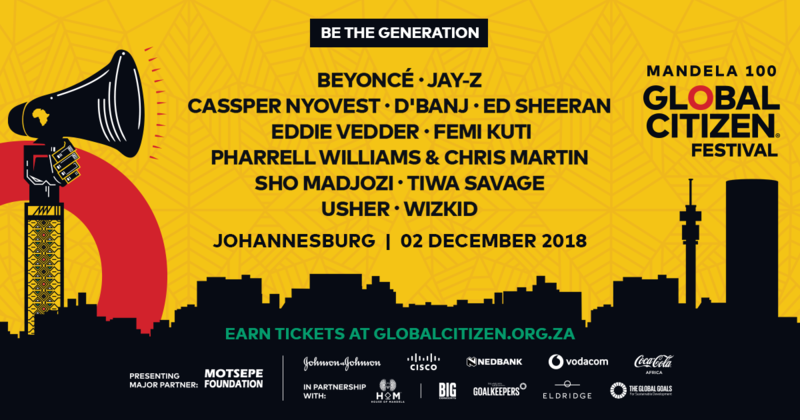 We're going to South Africa for Global Citizen Festival Mandela 100, in proud partnership with the Motsepe Foundation, to call on world leaders to commit to ending the various causes and consequences of extreme poverty. Not only did Mandela liberate an entire country from the grips of the racist apartheid system, but he also continued the fight for the world’s most vulnerable people until the very end of his life. Here are seven ways Nelson Mandela fought for the same values that Global Citizens hold dearly, including women’s empowerment, access to quality education, and the fight against HIV/AIDS. Though South Africa has work to do to eliminate violence against women and to ensure that women earn the same amount of money as men, Mandela helped set the country on a path toward equality from the very beginning of his career as president. During his first State of the Nation Address in 1994, Mandela expressed his commitment to the "emancipation” of women and called for equality across systems in South Africa. “It is vitally important that all structures of government, including the President himself, should understand this fully: that freedom cannot be achieved unless women have been emancipated from all forms of oppression,” Mandela said. The growing number of women serving in South Africa’s parliament continues to demonstrate the progress toward Mandela’s mission of gender equality. When Mandela was elected president, women held just 2.7% of seats in South Africa’s parliament. But by 2013, less than two decades later, women made up 44% of the legislature. Mandela’s record in the fight to end HIV/AIDS was not perfect, as many experts have pointed out, but in the years after his presidency Mandela became an ardent campaigner for HIV/AIDS awareness. As president, Mandela and certain members of his administration were reticent to acknowledge the scope of the AIDS crisis, which came to affect nearly one in four 15- to 49-year-olds by 2000 — and Mandela’s hand-picked successor, Thabo Mbeki, was known to be an AIDS denialist. But in 2000, as the scope of the crisis became overwhelmingly evident, Mandela added his voice to the chorus of activists calling for recognition of the disease and action to prevent it. In 2003, Mandela’s foundation launched the 46664 initiative — a concert series that brought AIDS to the forefront of the global conversation that was broadcast to 2 million viewers. The concert raised money for AIDS research and advocacy. Two years later, Mandela announced that his son had died of AIDS, which was said to have normalized the illness in the eyes of many. “Education is the most powerful weapon which you can use to change the world," Mandela famously said. And for Mandela, bringing about real educational change started in the countryside. In 2007, Mandela founded the Nelson Mandela Institute for Rural Development and Education to train and send high-quality teachers to rural areas and equip schools with modern facilities. While the majority of South African students — black and white — now attend primary school, vast income inequality, as well as untrained teachers and improper facilities, has prevented rural students from making up the racial achievement gap that emerged during apartheid. The Institute for Rural Development and Education, located in the rural Eastern Cape region of the country, has as its mission the promotion of a more sustainable future for younger generations and for the planet. “The true character of society is revealed in how it treats its children,” Mandela said in 1997. During his tenure as president Mandela donated a third of his salary to create the organization, which he charged with ending extreme poverty and its symptoms, such as hunger, exploitation, and homelessness. In 2009, Mandela received the World Children’s Prize Decade Child Rights Hero award in recognition of his commitment to the children of South Africa and the world. When he won the Nobel Peace Prize in 1993, Mandela donated part of his prize money to support street children and other kids in need. Mandela so valued the power of science and research that he lent his name to three institutes of technology in Nigeria, Tanzania, and Burkina Faso. Another institute in South Africa also bears his name. It’s a remarkable development in a country where black people were not even allowed to attend classes a generation ago. During Apartheid, black South Africans were prevented from studying science and technology and barred from careers in the STEM field. But that changed when Mandela was elected president. But Mandela’s commitment to technological achievement did not come at the expense of the natural world. He was a staunch environmentalist and opposed the degradation of South Africa’s natural resources by former colonial powers and their allies inside Africa. Mandela also worked to ensure that all South Africans could have access to clean water — a mission that continues today. "The Africans require, want the franchise, the basis of One Man One Vote — they want political independence," he said. In that interview, he went on to express that the fight to achieve voting rights for black South Africans should be independent of education levels or race. Mandela wouldn’t achieve the dream of a multiracial voting system until the collapse of Apartheid and his election as president in 1994. Nearly 9 in 10 South Africans voted in that election, but voter turnout has since declined, with 2014 registering under 60% participation. Mandela was the leading figure in the fight against South Africa’s racist apartheid system, but his activism didn’t stop at his home country’s borders. After retiring as president, Mandela worked to educate people about the HIV/AIDS crisis in Africa. He also helped broker peace in the Democratic Republic of the Congo and Burundi. Decades before the end of Apartheid, Mandela also served as an inspiration for civil rights movements around the world, including in the US. When the World Cup came to South Africa in 2010, Mandela attended the closing ceremony as the guest of honor, and his appearance, despite his poor health, made one of world’s greatest events even more special. That’s because the hero who emerged from a tiny prison cell to help topple Apartheid, deliver rights to millions of oppressed South Africans, and heal a wounded nation had long before earned his status as an international icon of peace and justice.